CINCINNATI, Ohio — The abortion giant Planned Parenthood filed a lawsuit on Sunday in an effort to stop Ohio officials from taking any legal action against the organization for having the bodies of aborted babies picked up by medical waste companies to be steam-treated or incinerated, and then dumped in landfills. As previously reported, Ohio Attorney General Mike DeWine, who identifies as pro-life and believes that abortion is “morally reprehensible,” announced the finding about Planned Parenthood’s practice on Friday. DeWine’s office had been investigating whether Planned Parenthood facilities in the state were selling the body parts of aborted babies following the release of national undercover videos from the Center for Medical Progress. While determining that aborted babies in Ohio weren’t being sold to research, DeWine’s Charitable Law Section rather found that the children were being picked up by medical waste companies and either steam treated or incinerated and then dumped into a landfill with household and commercial trash. Corporate representatives of Stericycle had claimed to DeWine’s office during the investigation that the company does not accept fetal remains for disposal. As DeWine said that he planned to file for an injunction in court to require that Planned Parenthood cease disposing of aborted babies in autoclaves, incineration plants and landfills, Planned Parenthood subsequently filed for a restraining order against any legal action on Sunday. It claimed that it is being falsely accused of inhumane disposal, as the organization believes that its current methods are no different than most abortion facilities. “It’s clear from the Attorney General’s press conference that we’ve acted properly and legally, and this is just part of his longstanding political agenda to ban abortion in all cases,” it continued. 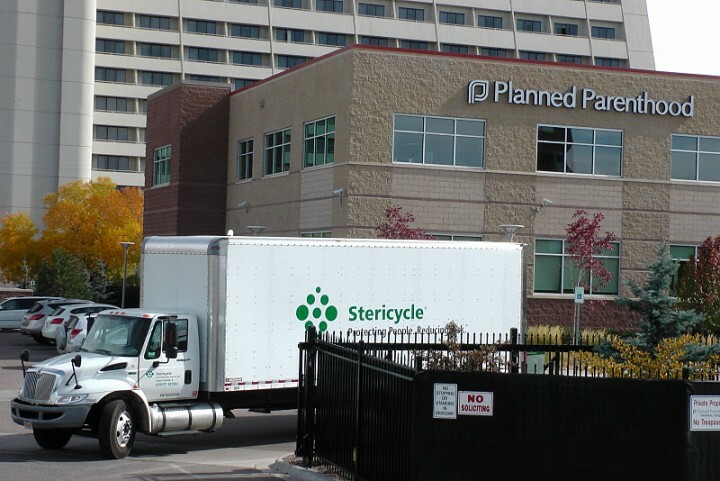 “Without the help of Stericycle, and companies like it, the abortion industry would collapse,” says the Campaign to Stop Stericycle, which was launched in 2010 to call upon medical waste companies to stop helping facilitate the abortion holocaust, just like the Jewish Holocaust when Nazis killed and incinerated thousands with the aid of local business services.